This is the ninth stage of the Pilgrimage Route of Saint James, one of the most famous pilgrimages in all of Christianity. This seven-night walking route is the ninth stage of the pilgrimage Route of Saint James, one of the most famous pilgrimages in all of Christianity. These are the hotels we would usually book – sometimes they are fully booked and we book an alternative of similar standard. Day 2: Burgos – Castrojeriz, 38.7 km/24.2 miles (possibility of shuttle). Day 3: Castrojeriz – Fromista, 25.5 km/15.9 miles. Day 4: Fromista – Carrion de los Condes, 20.5 km/12.8 miles. Day 5: Carrion – Moratinos, 30.5 km/19.1 miles. Day 6: Taxi to Moratinos, then Moratinos – Burgos Ranero, 27.9 km/17.4 miles. 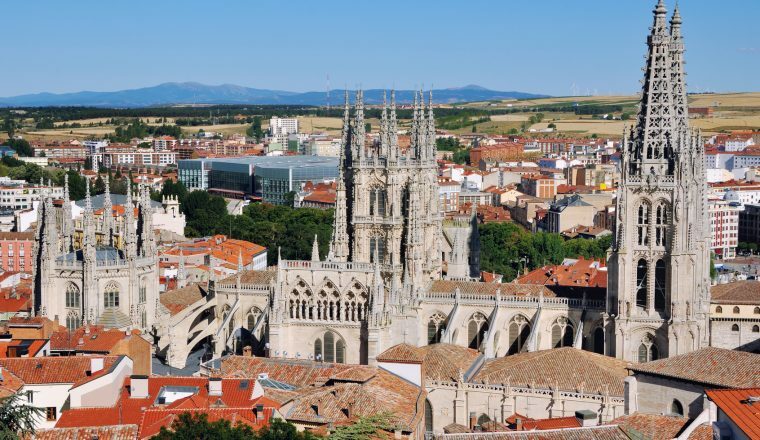 Day 7: Burgos Ranero – Mansilla de las Mulas, 20 km/12.5 miles. Day 8: Mansilla – Leon, 18.4 km/11.5 miles.